Here at Robinson’s we understand that moving house can be a stressful experience, and this isn’t just the case for first time buyers. Often, external pressures from Estate Agents, Financial Institutions and other parties involved in the chain can seem overwhelming, this is where we can help. With extensive local knowledge and expertise in dealing with both Freehold and Leasehold properties, our aim is to streamline the process ensuring keys change hands with minimum delay. 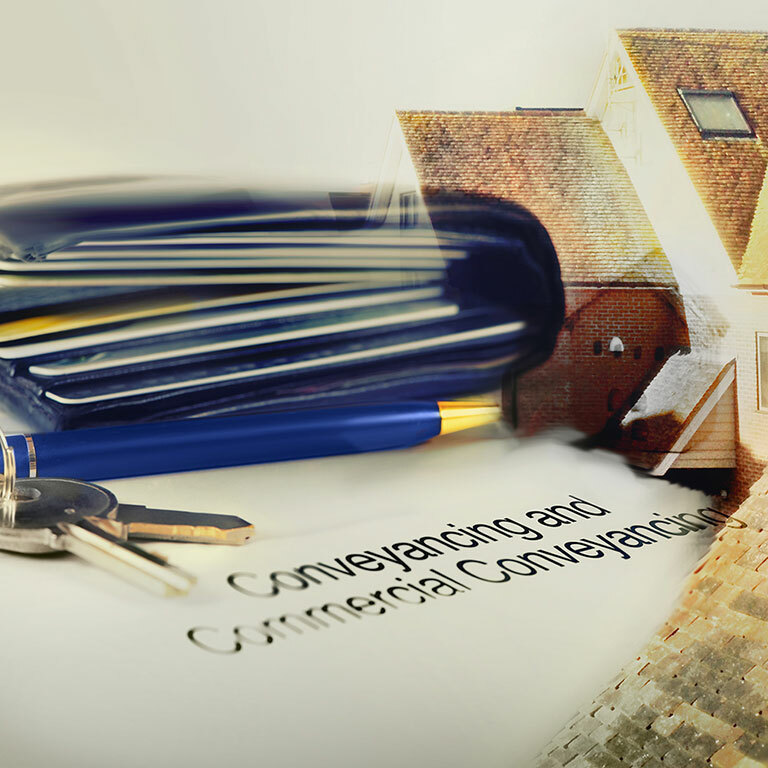 Competitively priced conveyancing packages allow you to keep an eye on your budget too. ‘Buy to Let’ Investments are a speciality of ours. In a fiercely competitive market, securing the property you have your eye on will be dependent on several things and one of these is a responsive and efficient solicitor. Even if you’re a seasoned investor, it’s important to keep abreast of changes in legislation that might affect your portfolio, this is something we can help with. Our solicitors are well placed to advise you on current market trends and provide the most up to date information on what’s happening locally. If you’re new to this type of investment, we can help you navigate the maze of working with agents, finding good tenants and understanding what the tax implications might be in the future. Whether you’re remortgaging to lock in a better interest rate or to release equity from your home, now that you’ve made the decision, you’ll want to move forward quickly. We have extensive experience in this field and work with all the major lenders regularly. Responding quickly and keeping you informed every step of the way will alleviate any concerns you might have and your case will be handled by one friendly solicitor from start to finish. There are many reasons why it may be necessary to add or remove someone from a Mortgage Deed but the process remains the same regardless. We can help you understand how this process works, advise on the implications and liaise with all the parties involved, making the transfer seamless. If Transfer of Equity is something you’re considering then give us a call today and we’ll set up an appointment, at your convenience, with a solicitor who specialises in this area. Whilst Equity Release can be a valuable funding tool, especially as returns on investments in recent years have dropped dramatically, it is a particular area where getting the right advice from a specialist is crucial. We all want security for the future and the peace of mind of knowing that our home is protected, that’s where we can help. With a multitude of schemes to choose from, we can help you decide which scheme best suits your personal circumstances and guide you through the terms and conditions to make sure you fully understand the long term consequences. Our offices are easily accessible with free parking so why not make an appointment to come in for a chat. Taking your first step onto the property ladder can be a very exciting prospect, but we understand this is also a time when you will have lots of questions. Your friendly and approachable solicitor will guide you through what can seem like a daunting process, and our competitive fixed price conveyancing packages will make sure you can keep an eye on your budget too. Depending on the scheme you’re interested in, we can also explore options for increasing your share of ownership in the future. If you already belong to a shared ownership scheme and would like advice on ‘staircasing’, we have specialists who will be happy to explore this option with you. Right to Buy schemes can be relatively straightforward to deal with, as the complexities of dealing with long chains of buyers and sellers are removed. Also, as you are already living in the property, you won’t have the additional stress of working towards ‘moving day’. Nevertheless, in other respects the process is similar to a standard purchase so we will liaise with your local Housing Authority in much the same way as we would with any other seller whilst keeping you fully informed at all times. Although this is a very specialised area of Law, we are fortunate to have highly trained and experienced solicitors who work with Lease Extension or Termination regularly. Acting early if your lease is coming to an end or requiring extension is essential, as there are a number of important steps which need to be taken before negotiations with Tenants/Freeholders can begin. If you are struggling to understand the jargon, or would like some advice about the options available to you, we can arrange an appointment with one of our friendly, approachable solicitors who’ll be happy to help. There are few of us who wouldn’t find the idea of a newly built property appealing, not least because of the attractive incentives usually offered by developers. It’s important to remember though, that New Builds need to meet specific requirements and have adequate warranties in place to protect you in the event of structural defects. Our specialist ‘New Build’ solicitors will ensure all regulations have been complied with and that your warranty comprehensively covers you for the future. Our clear and transparent pricing means what we quote is what you will pay. Ask us for a quote by phone or email today. Robinsons Solicitors provides instant online residential conveyancing quotes. Complete our very quick and simple form to get an immediate quote with a complete breakdown of our costs. Alternatively please do get in touch on 01227 762888.